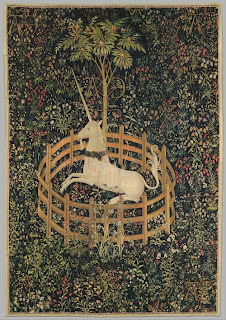 New medieval art websites, III. 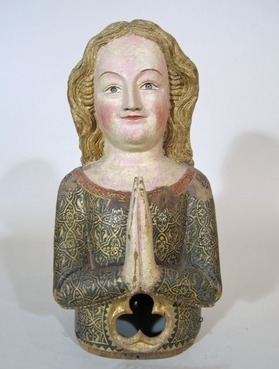 I will keep this post very short - there seems to be an ever richer selection of medieval art websites out there. I just want to point out a few I've recently discovered. "This database contains descriptions of all medieval western manuscripts up to c. 1550 written in Latin script and preserved in public and semi-public collections in the Netherlands. 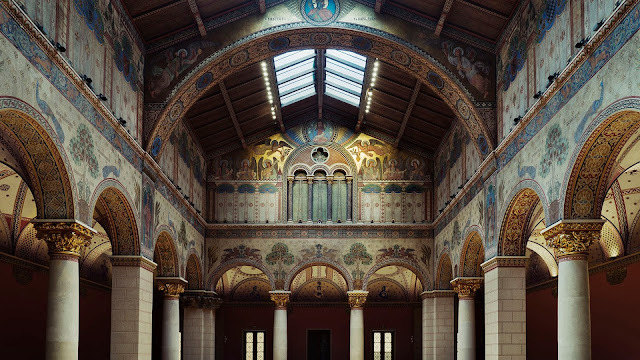 These include the collections of libraries, museums, archives, collections of monastic orders and some private institutions open to researchers." 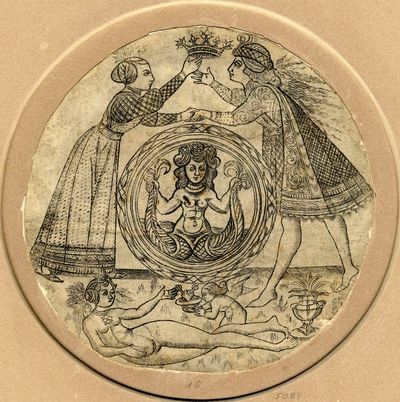 An online exhibition with copious illustrations from medieval manuscripts. 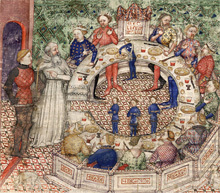 Made by the Bibliothèque nationale de France, with direct links to Gallica, the 'Bibliothèque numerique' of the BnF, providing full digital versions of medieval manuscripts. This exhibition, previously shown in Cleveland, is now going to the Walters Art Museum in Baltimore. 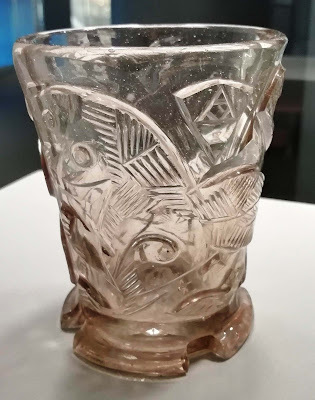 A brand new website has been created for this occasion, which contains really nice things, such as 3D photographs of several objects - photos where you can rotate and zoom in the objects. 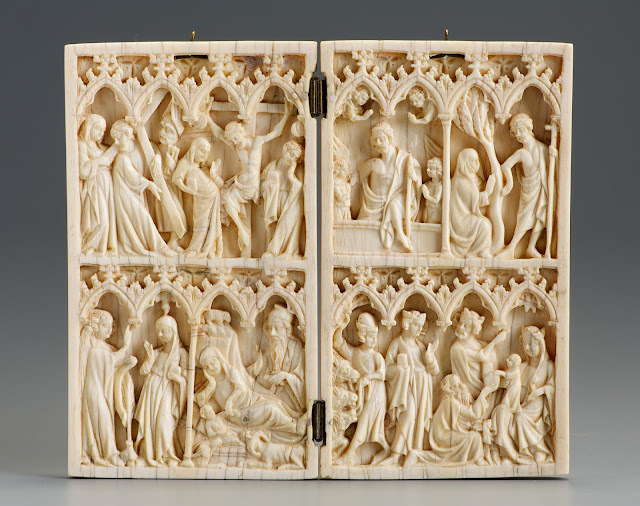 "The exhibition features over 130 sculptures, paintings and manuscripts, gathered from world-class collections, including the Louvre and the Vatican." For us in Europe, the exhibition will be available this summer at the British Museum in London. 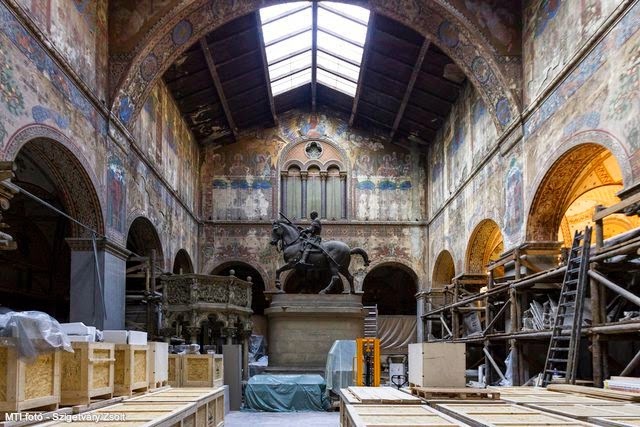 Finally, I would just like to mention a great new project, which created quite a buzz on Twitter: The Google Art Project, with virtual tours (streetview style) of several major museums worldwide. You can also browse (and zoom) works in the artwork viewer module. Description from the website: "Explore museums from around the world, discover and view hundreds of artworks at incredible zoom levels, and even create and share your own collection of masterpieces." Well, go ahead, and explore! 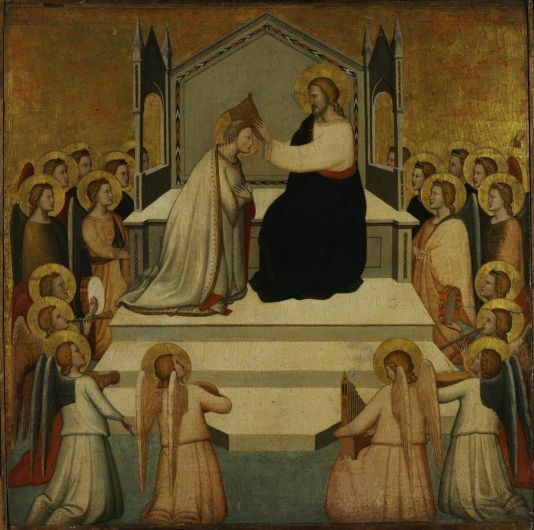 See previous installations of this feature: Medieval Art websites part I and part II. I often find myself trying to explain the system of Budapest's major art museums to foreigners. Although it is a clear system, it can still be confusing at times. 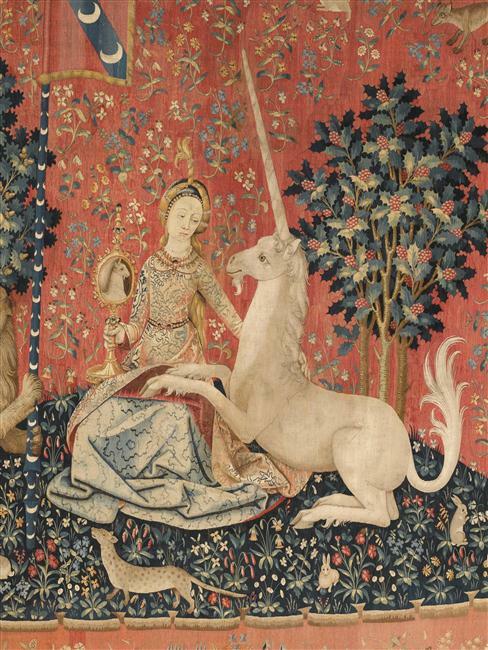 For example, you can find important medieval artworks in all major museums of the capital. 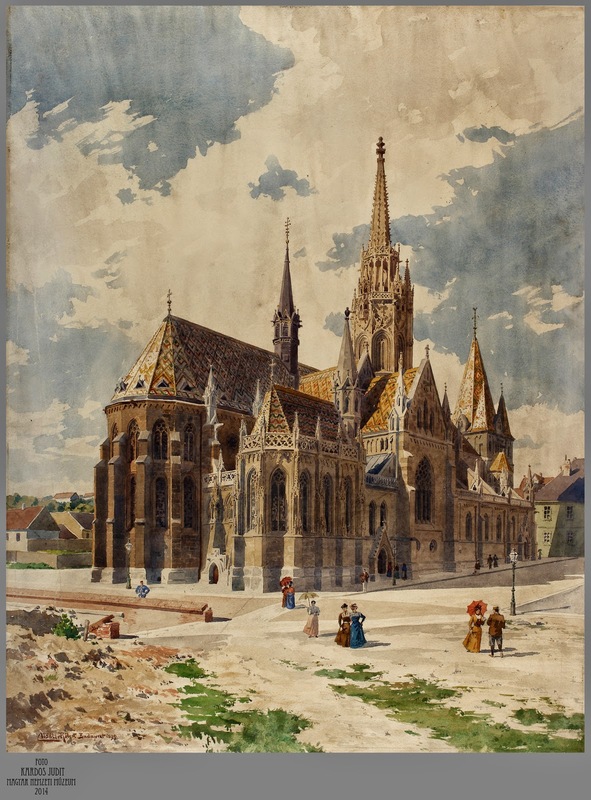 In this post, I will give a brief overview of the system, and list the most important medieval holdings of Budapest museums. 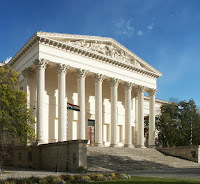 This is Hungary's oldest public museum, founded in 1802. 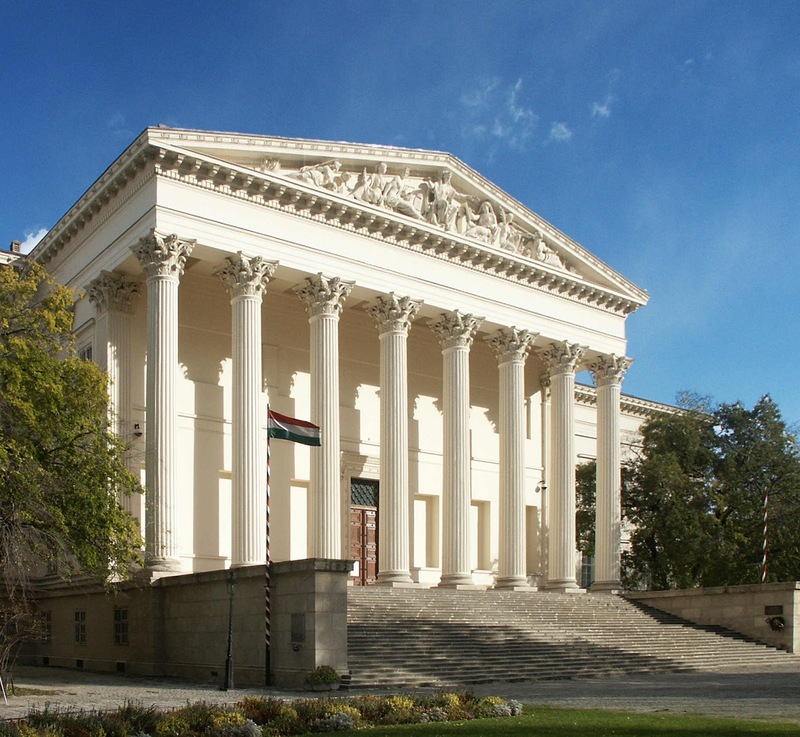 The present building of the museum, designed by Mihály Pollack, opened in 1847. Originally, all kinds of collections were housed here, a lot of which formed the basis of later museums. Today, it is basically a museum dedicated to the history of Hungary. The museum houses a large number of medieval objects from the territory of historic and modern Hungary. Various objects - including stone carvings, pottery, etc. 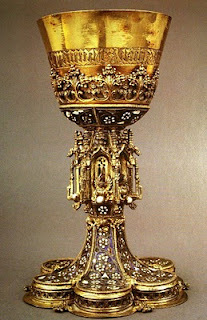 - are held in the Archaeological Department and are on view in the Medieval Lapidary. Departments of the Historical Repository hold all kinds of medieval objects - furniture, textiles, weapons and ceramics. 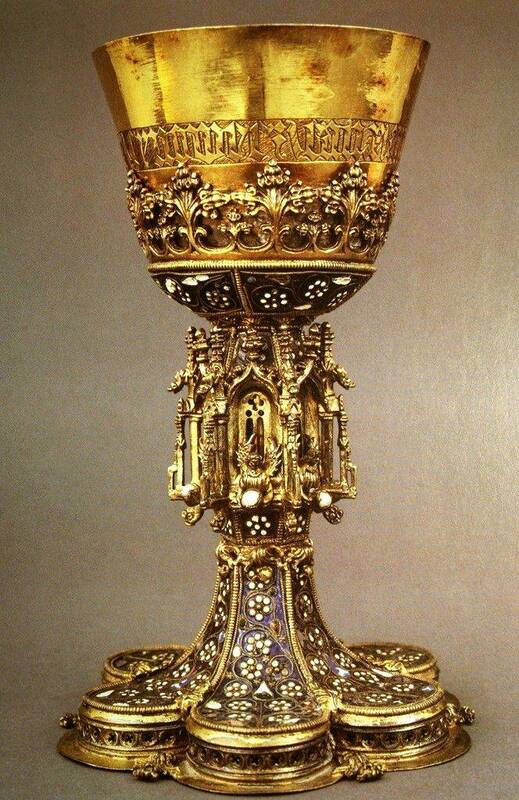 Of particular note is the Collection of Metalwork, with the best selection of Hungarian goldsmith works. Highlights of these collections are on view in the permanent exhibition. Until 2000, the Coronation regalia were kept here, too - today only the Coronation mantle remains in the Museum. The museum has a useful website, with lot of English language content - although not every page is translated from Hungarian. Start browsing here. 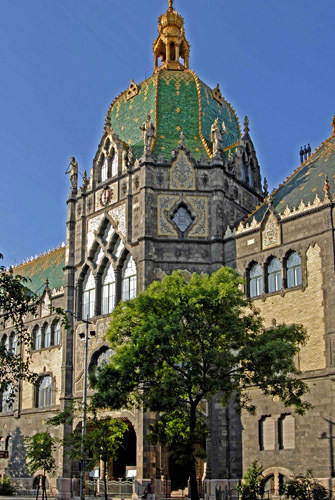 Founded in 1872 and modeled after the Victoria & Albert Museum in London, the Museum of Applied Arts was the second major public museum in Hungary. It is housed in an Art Nouveau building designed by Ödön Lechner, opened in 1896. The collections of the museum include all fields of decorative arts - metalwork, furniture, ivories, textiles, ceramics. This is the only major national museum in Hungary where objects of Hungarian origin are side-by-side with other European works. 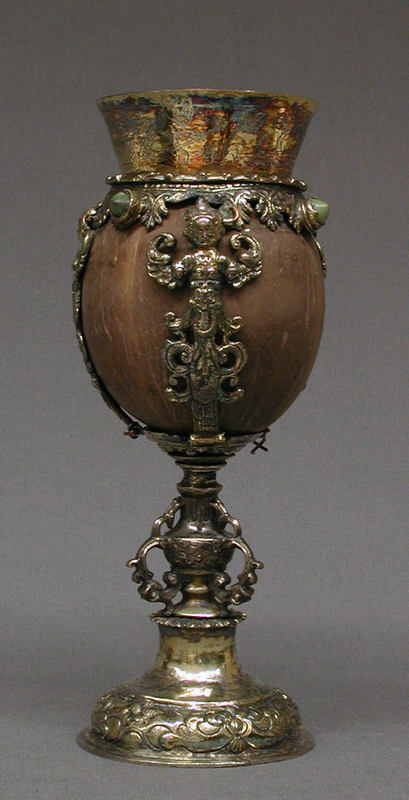 When it comes to medieval objects, the collection is stronger in general European art (most Hungarian objects can be found in the National Museum). 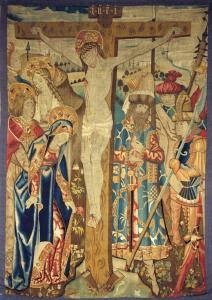 Particular highlights include medieval ivories, important goldsmith works from the Esterházy-treasury, chasubles and other medieval textiles, etc. Some of the highlights are on view in the permament exhibition of the museum, but the website only provides information on them in Hungarian. You can still browse the collection and picture galleries of highlights here. The museum's permanent exhibition of the history of furniture is located in the Nagytétény mansion on the outskirts of Budapest, and includes a number of medieval and renaissance objects. 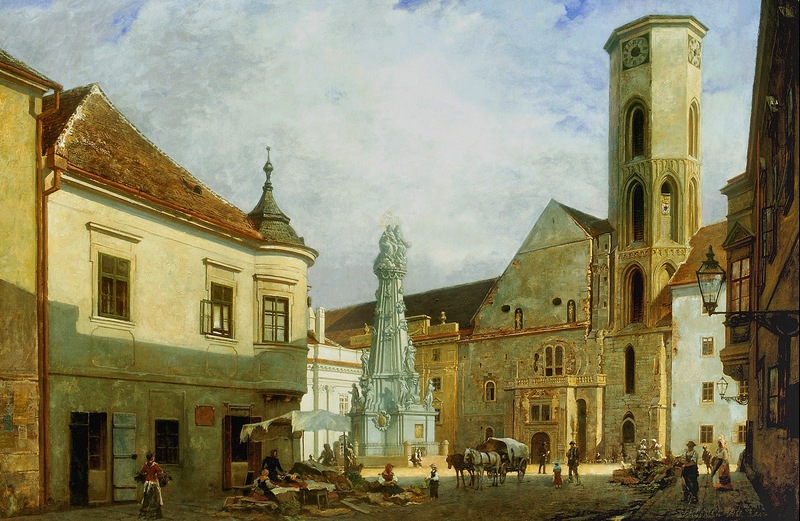 Officially founded in 1896, the Museum of Fine Art is based on the Esterházy-collection, purchased by the Hungarian state in 1871, and on numerous other acquisitions carried out during the last decades of the 19th century. 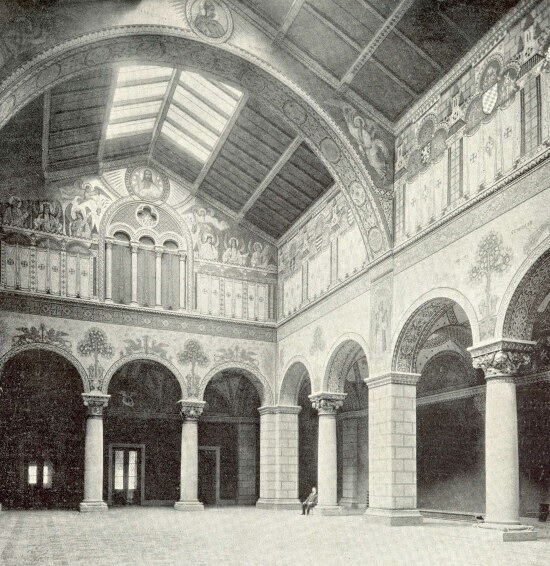 The main building of the museum opened in 1906. The museum is basically dedicated to monuments of western art, including Egyptian and ancient art, stretching all the way to the present day. Focus is on paintings, drawings and sculpture (for other fields, see the Museum of Applied Arts above). Hungarian works have been transferred to the Hungarian National Gallery (see below). 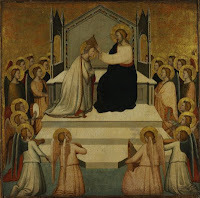 In terms of medieval art, The Collection of Old Master Paintings is particularly strong in Italian Trecento works as well as German/Austrian Late Gothic paintings. 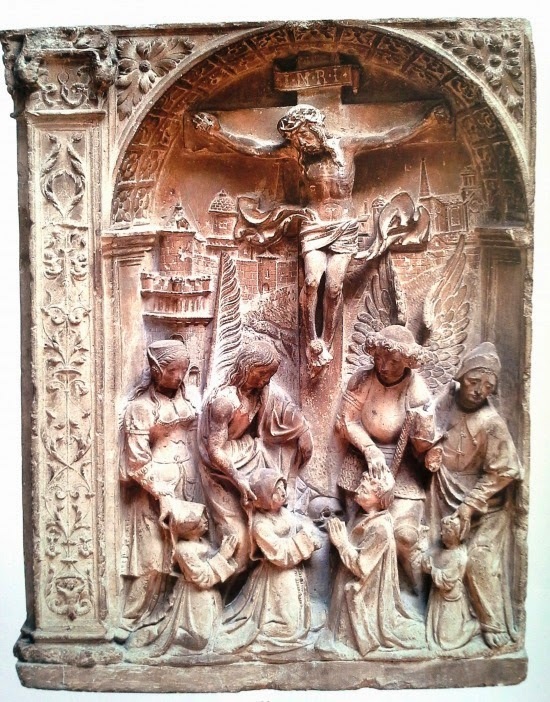 There are a number of outstanding medieval drawings in the collection as well, and there is a large collection of medieval sculpture - the latter presently not on view. For information and highlights, visit the website of the museum. 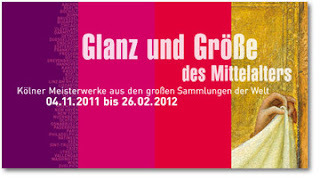 In 2006, the Museum of Fine Arts organized and housed the great international exhibition dedicated to Emperor Sigismund. 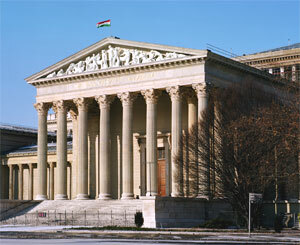 The National Gallery was created in 1957, with the intention of providing a separate museum dedicated to Hungarian art. 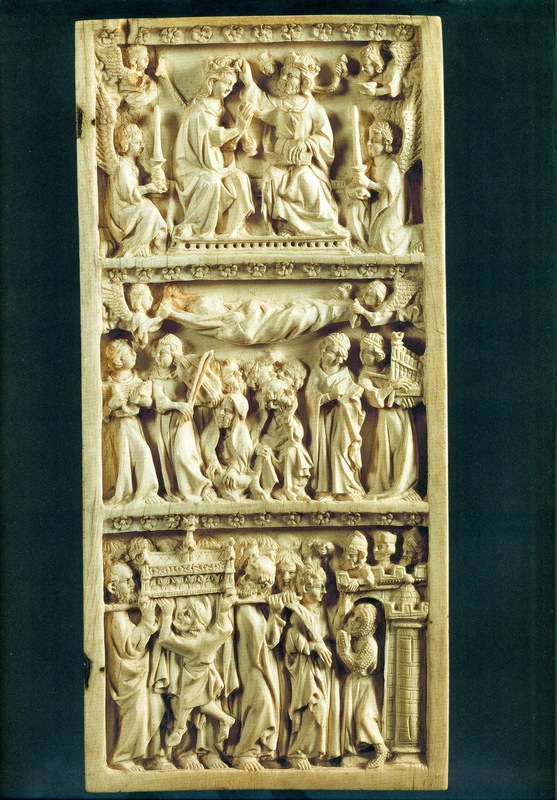 It is primarily based on material transferred from the Museum of Fine Arts. When the new museum was transferred to its present building - in the former royal palace of Buda - the Old Hungarian Collection was also transferred there. This is a rich repository of Hungarian medieval art, consisting of medieval stone carvings and sculpture, panel paintings and a large number of complete altarpieces. The collections can be browsed on the website of the museum. 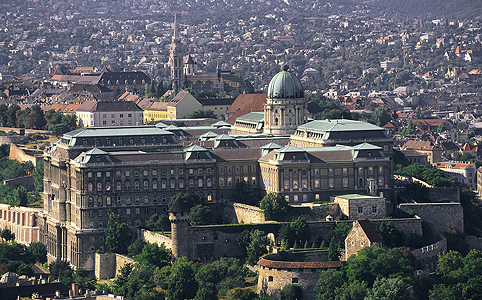 The main site of this museum - the Castle Museum - is also located in the building of the former royal palace of Buda (this site opened in 1967). Lower levels of the museum incorporate the remains of the medieval royal palace. The museum is an archaeological and historical collection - similar to the Hungarian National Museum - focusing on the territory of Budapest. As the Buda side of present-day Budapest was the medieval seat of Hungarian kings, the museum is particularly rich in medieval objects, most of them archaeological finds. 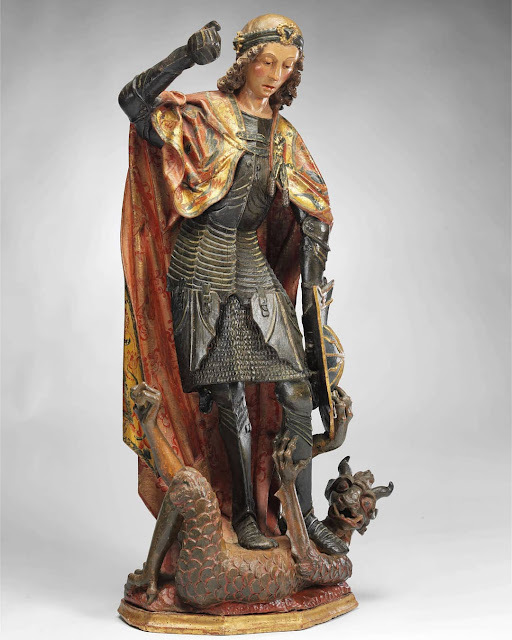 The famous statue-find from the period of King Sigismund is also on view here. New excavations keep adding significant material to the collections. The English version of the website is not quite complete, but you can read about the permanent exhibitions here. 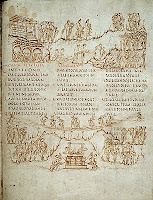 In 2008, the museum organised and housed the exhibition titled Matthias Corvinus, the King. 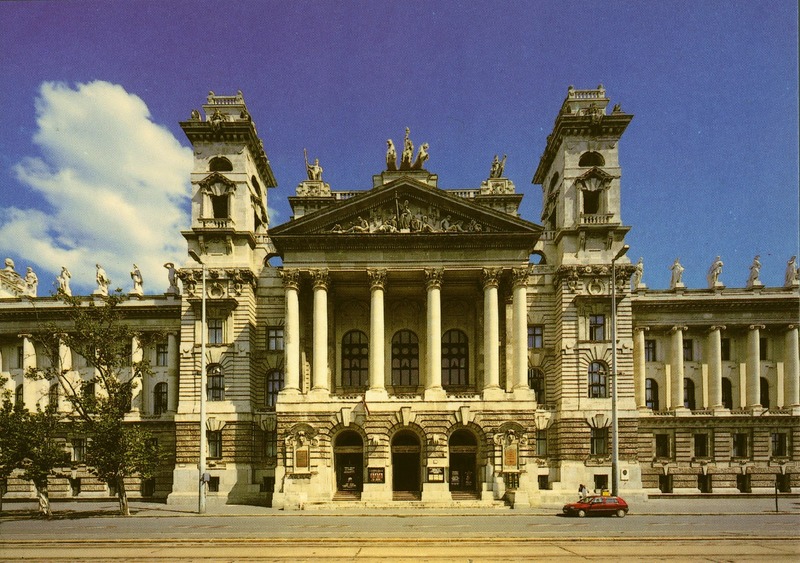 Started in 1872 as a unit of the Hungarian National Museum, and becoming an independent institution in 1947, the Museum of Ethnography moved into the former Palace of Justice in 1873. It might be surprising that I am listing it here, as the museum has no medieval collection - but it does include a number of medieval objects in its collections of European furniture, ceramics and textiles. The website of the museum is available in English, but the collection database is only in Hungarian. 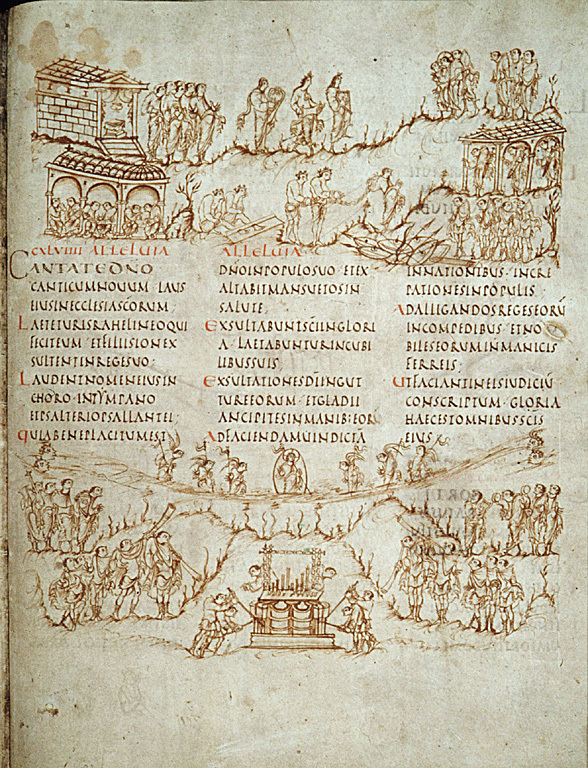 The Ethnological Archives also contain a lot of material about medieval buildings and wall-paintings. I did not add pictures of actual medieval objects to this post - but you will find plenty to look at by following the links above. 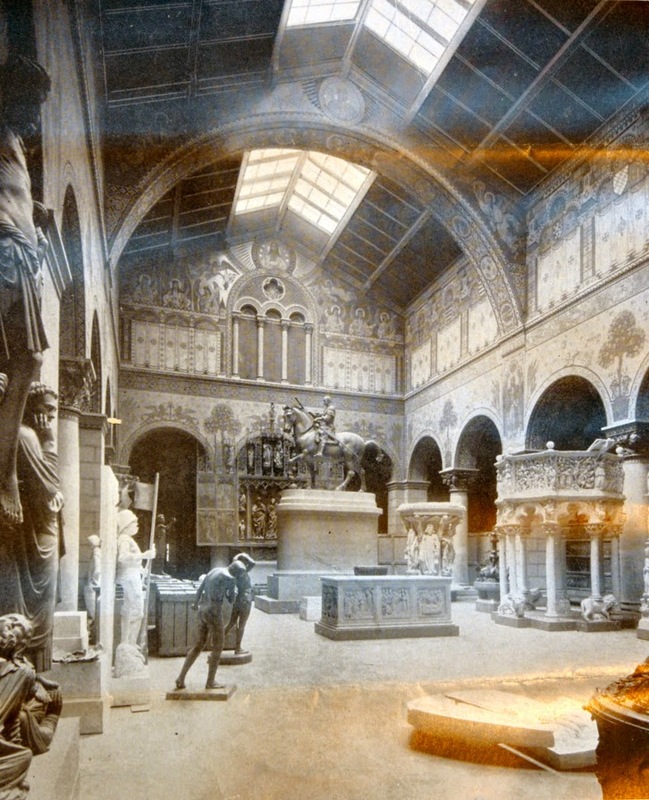 Of course, it is best to come and see these museums for yourself! If you would like to know even more about museums in Hungary, visit the central website for Hungarian museums.